Wine 2.0 New York was terrific! Catch the overview here! This is the first footage from Wine 2.0 packaged up to give a flavor for the event. Overall a great success and positive feedback from our wineries, trade and consumers! More to come! My friend Liza has a nice piece in Winebusiness.com today on the Fall selling season. Reports from Nielsen, Bill Cascio at Glazer’s, Wilford Wong at Beverages and more! all point toward improvement over last year, though value driving business. There has been nearly half a billion dollars ($500 million) in venture funding that has gone into various efforts in the the online wine space. In rereading this piece, it is amazing how much and how little has actually changed. Technology has leaped forward, enabling much greater communication and commerce capabilities for all. The regulatory and industry structure has bent, but not fundamentally changed. It will be very interesting to watch the impact of Web 2.0 technologies and social media on the way in which the industry operates going forward. Clearly, there is a constant march of producers and consumers to get closer together. Sometimes this is about discovery and information. Sometimes this is about commerce. Consumers feeling more connected to brand and having conversations with wineries and more importantly with their people (who make the brands what they are) is only accelerating. This has real world implications. Wine 2.0 is in the online connectivity business, but that drives our live events. To wit, we are seeing a surge in interest in our Wine 2.0 New York event from both wineries and other companies involved in marketing to consumers. It will be interesting to see the consumer and trade turnout. I’m looking forward to attending Web 2.0 Expo as well. It is great to get out of the wine business and look at what is cutting edge in terms of technology and latest developments. Separately, Mashable’s blog just posted details on Web 2.0 Expo and our event Wine 2.0 Expo New York. Feedback from retailers, restaurateurs and wholesalers has grown increasingly positive as we move into the last part of the fourth quarter. Many seem to believe that this year is finally turning out to be more dynamic than last. According to data from a Nielsen presentation earlier this month wine was the No. 5-ranked category of the top 15 of the major 125 segments that Nielsen tracks with a 5.1 percent volume growth in the period ending September 5, 2009 over the previous year. “Our volumes are up in total wines, about three to four percent in all states,” said Bill Cascio, the San Francisco Bay Area-based vice president and director of winery relations for the Dallas-based Glazer’s Family of Companies, which is active in 12 states. “It is shaping up to be a little bit better than last year,” he concluded. I just saw this report which points out what many of us have known for some time, that NY has a thriving wine industry. I thought it worth highlighting as we have a handful of NY based wine companies (some producers, some importers) joining our many other fantastic wines from CA and around the world at Wine 2.0 New York Nov 18. Sour economy aside, New York’s wine industry – centered in the Finger Lakes – continues to sweeten. New wineries are sprouting around the state, investments are growing and visits by tourists and wine lovers have increased by 21 percent since 2003, despite the recession, record gasoline prices in 2008 and rising prices again this year. 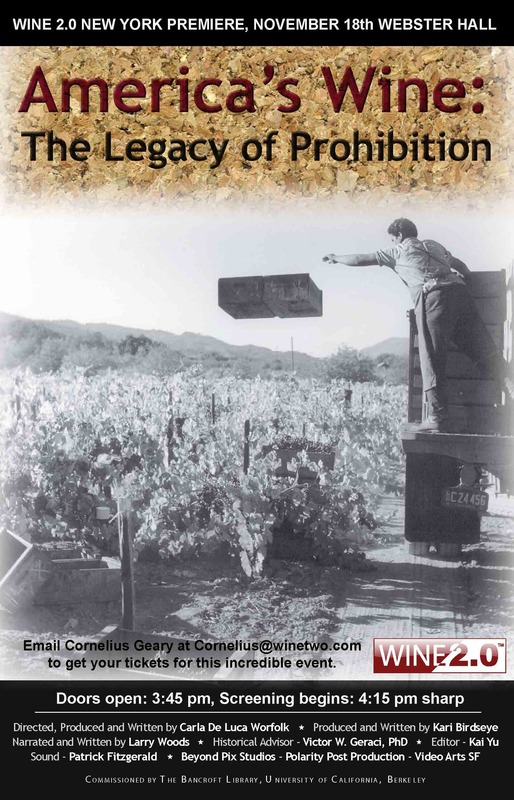 A survey by the National Agricultural Statistics Service, part of the U.S. Department of Agriculture, found that the state wine industry not only has weathered the recession but has exploded in size, to 240 wineries. More wineries have opened around the state since 2000 than in the previous 170 years, the survey said. And the expansion is unabated. “In the seven months since the surveys were mailed in March, 33 new wineries have been licensed, bringing the state total to 273,” said Jim Trezise, president of the New York Wine and Grape Foundation, which commissioned the government survey. The Finger Lakes region, with 104 wineries, has the largest share. Long Island, the Hudson Valley and the Lake Erie region are considered the other centers of the industry. 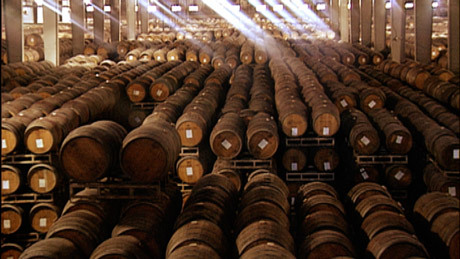 A separate study of the wine industry’s economic impact may be released this winter. The last such study said the industry had a $3.4 billion impact in 2004.